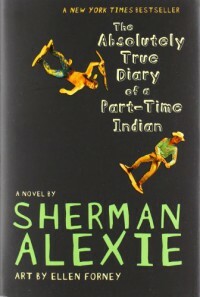 The Absolute True Diary of a Part-Time Indian is the story of a native boy's coming of age struggle between two contrasting worlds -- the repressive and harsh reality of a First Nation reservation where his heart and soul is, and the all-white farming community where possibilities exist for him to reach his creative potential. In either case, he is considered an outcast; a traitor in one, and a misfit in another. We follow him through a roller coaster of emotions and escapades, from the hilarious to the gut wrenching. His warrior determination to remain true to himself makes him an endearing and unforgettable character. A must-read.